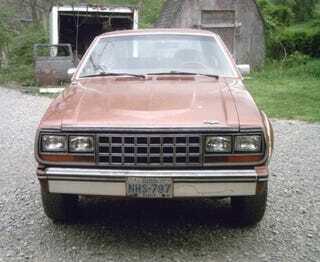 Despite our apprehension at the idea of that rust free 1982 AMC Eagle from Craigslist yesterday, it appears to be real. We're still not sayin' it's cancer free because we aren't seeing rocker panel closeups but still, this thing looks like it was put in a garage in 1992 and forgotten about... wait, that's exactly what happened. From these images we got today, you can almost smell that AMC vinyl and the hose-ripened grease underhood. It's even got that AMC straight six we talked about today. Maybe four grand is asking a bit much as it isn't in perfect condition, but that's still a sweet machine.